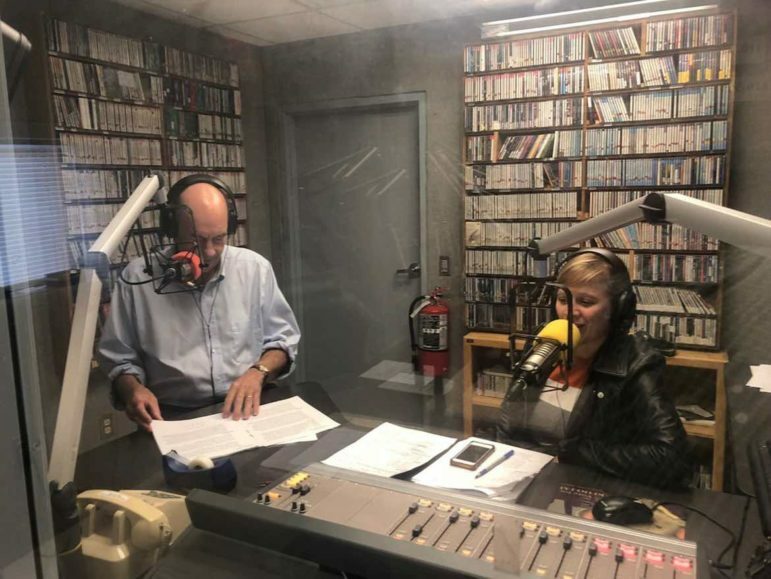 Delmarva Public Radio and WESM-FM on Maryland’s Eastern Shore are exploring a possible collaboration in a bid to ensure long-term survival in a competitive market. Representatives of the stations began talking in the fall and held public meetings Feb. 18 and 19 to get feedback on what such a collaboration could look like. Salisbury University, DPR’s licensee, hosted the first meeting on its campus. The second took place in Rehoboth Beach, Del. WESM GM Gerry Weston and senior management staff at DPR participated. Each meeting drew around 50 people, who were overwhelmingly positive about the idea, station leaders said. Station leaders added that university officials had never discussed collaboration until last year, though both licensees are part of the University System of Maryland and their stations serve the same market. But that changed when both stations’ licensees got new presidents last year, and the administrators now share the mutual goal of reducing the schools’ spending on the stations. “Radio is changing, and it doesn’t make sense for these two smaller public radio stations to be farming the same field and competing for donors,” said DPR Programming Director Chris Ranck, who has been sharing interim GM duties at the station with Development Director Anne Young since last year. The schools have ruled out the possibility of a total merger for the stations and are considering a collaboration that would more likely take the form of sharing resources. Both WESM, which broadcasts from the town of Princess Anne, and DPR are governed by the University of Maryland System Board of Regents. “The institutions have no intention of selling the stations or of letting the stations evolve into a separate 501(c)3,” Weston told Current. Station leaders are drafting a memorandum of understanding between Salisbury University and the University of Maryland Eastern Shore, WESM’s licensee. The memorandum will outline plans for the stations to share personnel and programming over a commitment of at least three years. The stations are likely to begin collaborating formally by July 1, Young said. “The staff is excited about this, and the university is excited about it,” she said. DPR, which operates WSCL in Salisbury and WSDL in Ocean City, is the larger enterprise, with an annual budget of over $1 million. WESM’s annual budget is around $500,000. The dual-format stations, whose coverage areas largely overlap, air NPR’s weekday newsmagazines simultaneously, as well as Weekend Edition and Weekend All Things Considered on Saturdays. Their music differs: WESM features jazz; WSCL, classical; and WSDL, folk. Their market became even more crowded in 2010, when WAMU in Washington, D.C., launched WRAU, a repeater in Ocean City with a signal stronger than the three stations. It airs NPR’s news programs at the same time as its competitors and other news programs during the hours when the local stations air music. The other stations’ finances sank as WAMU began peeling off donors and underwriters, Weston said. According to DPR’s latest audit, the station’s operating revenues decreased by 4 percent from fiscal year 2017 to FY2018 and by 9 percent the year prior. WESM’s revenues dropped by 17 percent from FY2016 to FY2017, according to the most recent financial data available on its website. DPR has struggled financially for some time. 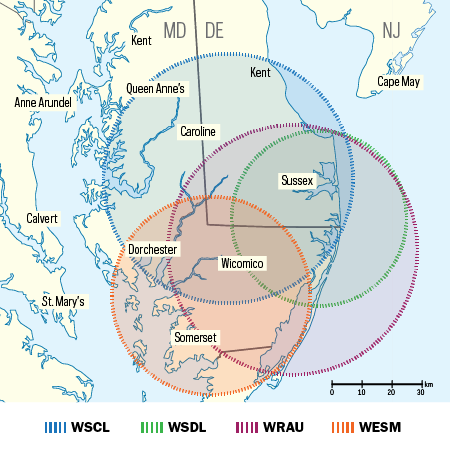 An October 2012 report commissioned by the Salisbury University Foundation, which then oversaw the station, recommended changing WSDL’s format to Triple A and handing over management of the stations to another pubcaster. Maintaining the status quo for the station “just hasn’t worked and won’t work anymore,” said consultant Dennis Hamilton. But the foundation declined to follow many of PMC’s recommendations. DPR then moved under the governance of Salisbury University in 2014 and to the University of Maryland System Board of Regents in 2015, according to FCC filings. The last change brought DPR under the same oversight as WESM. The new proposed collaboration has the working title of Delmarva Public Media, according to Karen Olmstead, who became provost of Salisbury University last year. The new leaders at the stations’ universities all have “a commitment to collaboration,” Olmstead said. Nothing is official before the memorandum is signed, but the stations each have a wish list for cost-cutting. WESM has no development department and hopes to use DPR’s, while DPR’s current management would like to have Weston serve as permanent GM of both stations. DPR’s previous full-time GM, Dana Whitehair, resigned in August 2018. Whitehair told Current he was forced to resign without cause. Olmstead declined to comment, citing confidentiality regarding personnel matters. The university currently has no plans to hire a replacement. Weston is no stranger to station partnerships. He previously oversaw a more complicated public radio collaboration in Louisville, Ky., where he brought together three competing stations owned by two licensees to form Louisville Public Media under a newly created nonprofit in 1993. He also served as the GM of DPR from 2007–11. Weston said that as WESM and DPR collaborate, he hopes to focus on growing underwriting to the benefit of both organizations, eventually aiming to offer underwriters a “superstation” package to air on all three stations. He also wants DPR to air some of WESM’s locally produced jazz shows, which would help DPR save money on syndicated programs and expand the WESM shows’ reach to more of the Delmarva peninsula. In addition, station staffers also appeared on each other’s last two fundraising drives. Maryland’s Salisbury University is backing away from a consultant’s plan to farm out operations of its two Delmarva Public Radio stations. A proposal unveiled Feb. Being in this market, I very much prefer WRAU/WAMU when I have the radio on. Where the Delmarva stations are mainly music, WRAU/WAMU is solid, dynamic talk. This is what we need in this day and age to stay informed. If the Delmarva stations were smart, they may want to consider shifting some NPR talk programming to the 12~1 slot when Kojo Naamdi is on as an alternative for those who want to hear dynamic talk but are not concerned about DC local issues. Of course, the other huge issue here is that Delmarva lacks HD. Being on the far western side of the Salisbury-Ocean City market, I can’t receive any HD on a portable radio or even with an SDR. The very little HD in this market is “east of the 13”. Perhaps, the Delmarva stations should look at going HD, and moving their music to HD while making the primary streams on all three (SCL, SDL and ESM) much more full-service with a much higher talk to music ratio. If they don’t want to do anything, perhaps it’s time to sell WSDL. I am pretty sure I could get Pacifica Foundation to consider bidding for that station and trust me, with commercial talker WGMD in the market and WCBM across the bay, we seriously need something here to counteract the Sussex County alt-right banter. AFIAK, no one on Delmarva that I am aware of (except for REC-FM by stream) plays Democracy Now! I am sure too that EMF is also gnawing it’s teeth hoping someone here below 92 budges. Instead, “Friends of Delmarva” posts internet memes blasting WRAU as not “real Delmarva radio” (which, in a way, is true).. but perhaps, it’s radio that Delmarva wants to hear. There are a LOT of small towns here in Delmarva that are being denied their own local service because of these for giant pubcasters.